Kindly fill out your information to book a tour, and we will be in contact shortly. Belonging: Cultivate respectful relationships and connections to create a sense of belonging among and between children, adults and the world around them. 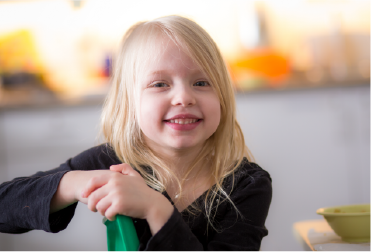 Well-Being: Nurture children’s healthy development and support their growing sense of self. Engagement: Provide environments and experiences to engage children in active, creative, and meaningful exploration and learning. Expression: Foster communication and expression in all forms. 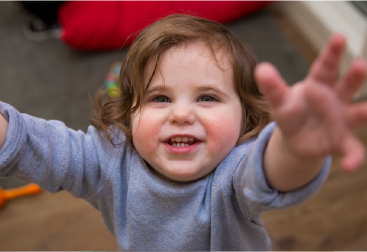 18 Months- 2.5 years Our multi-sensory hands on curriculum for little learners introduces activities that are fun, educational and vital to development. 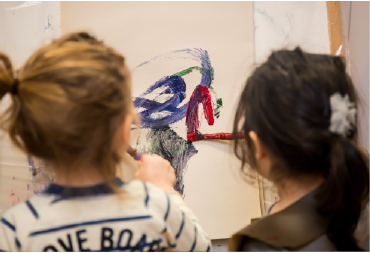 Experimenting with a variety of art supplies encourages curiosity, builds language and social skills and develops fine motor skills. While celebrating Jewish holidays and traditions Little learners are exposed to Hebrew words, songs and stories. 2.5 - 4 years Learning environment set up invitations for inquiry as children explore within language, art, music, science and other activities. 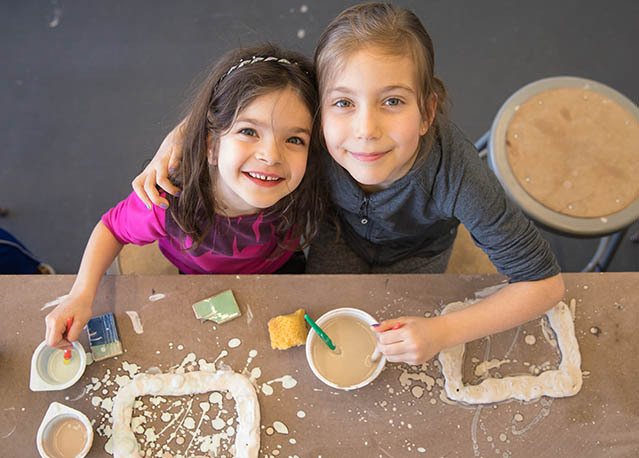 The program poses as an intentional place for children that provoke wonder, curiosity, intellectual engagement and creativity with endless possibilities. 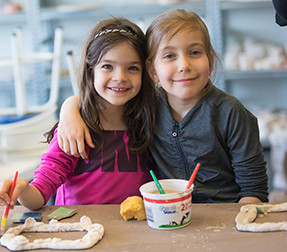 The children are exposed to Jewish Holidays, traditions, values and Shabbat Celebrations continue to be a meaningful experience for them. 3.8- 6 YEARS Guided by our staff, our Graduates embark on word recognition and literacy skills. Their curiosity is challenged by exposing them to enrichment units, such as science and current events. They explore activities in all areas of development to promote early learning in cognition, gross motor, fine motor and social/emotional. The Hebrew component expands the children’s vocabulary while incorporating academic skills. JK/SK to Grade 5 A licensed, safe and supportive place for your kids to come before and after class to socialize, get active or get help with their homework. Interested in enroling your Child? IF YOU HAVEN'T SEEN OUR WONDERFUL AND STATE-OF-THE-ART FACILITY, THEN WHAT ARE YOU WAITING FOR? BOOK A TOUR TODAY? Our swimming program is designed to develop gross motor skills while gaining confidence in the water. 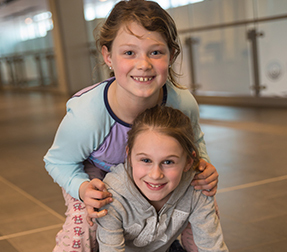 The children enjoy recreational swim in the Randy Mark Stupp Indoor Aquatic Centre. The teacher ratio in the pool is 1:5 and a lifeguard is employed to be in the water with the children at all times. 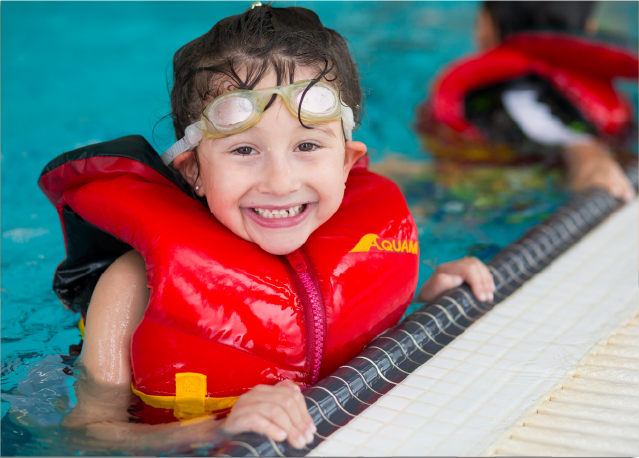 Safety in the pool is our number one priority so children wear life jackets at all times. 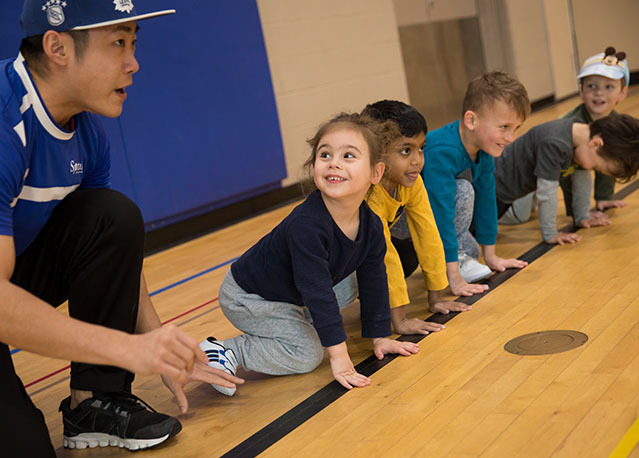 Our sports program develops children’s gross motor skills and increases their self confidence. 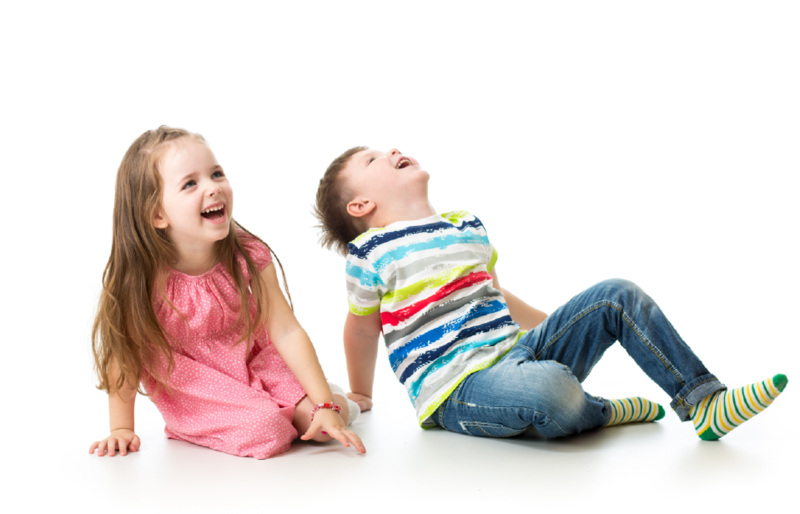 The children will learn different sports, games, and teamwork while having fun! Sports take place in the Sydney and Florence Cooper and Family Sports Hall located at the Schwartz/Reisman Centre. 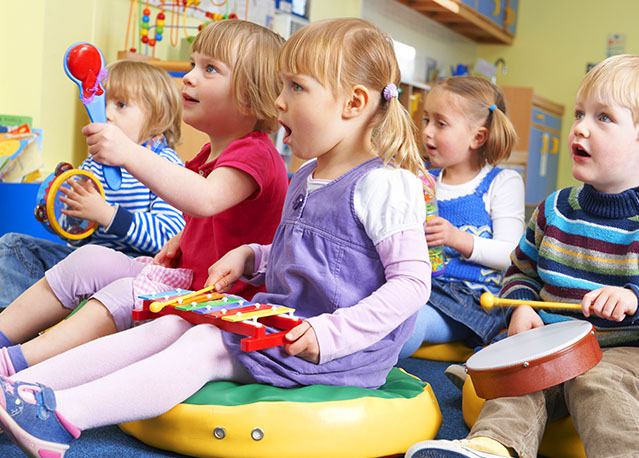 Our music class focuses on the Jewish holidays and traditions. The children will learn new songs and vocabulary related to the celebration of the Jewish holidays. 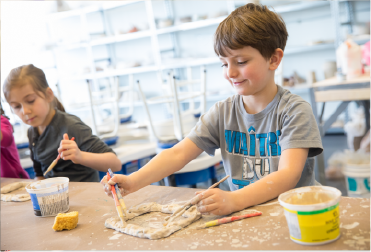 Our ceramics class allows the JK and SK children the opportunity to use their imagination while enhancing the use of their fine motor skills to display their creativity.